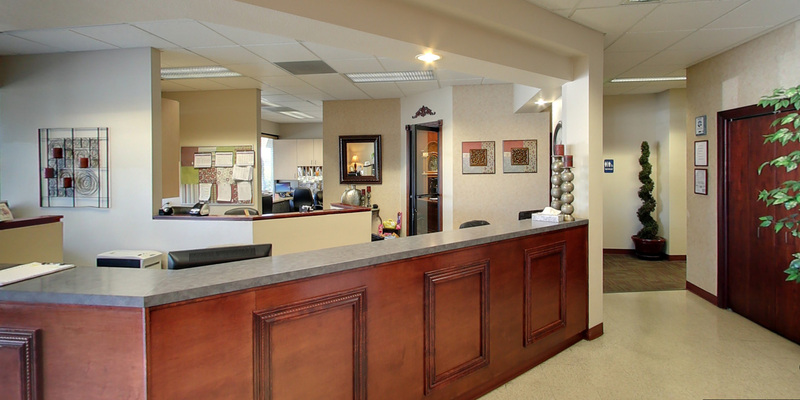 Our mission is to give our patients an honest diagnosis and treat them and their families with the utmost respect. We accomplish this by serving them with quality, reliable and affordable dentistry that will last a lifetime. Our patients’ trust, loyalty and long term relationship, are a vital aspect and most important to our office. Establishing a warm, caring, multilingual and professional atmosphere, is conducive to an outstanding dental experience for our patients. Saving Money For Our Patients Is Important! At our office most PPO Plans are accepted as Full Payment! Pay $0 for Copays! NO insurance, No Problem! 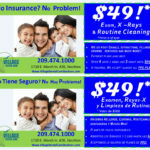 $49 for Exam, X-rays and Regular Cleaning. Caring for your smile takes more than just daily brushing and flossing at home. Routine professional cleanings and checkups are a vital element in protecting your oral health. Look years younger and gain self-confidence with a brighter, whiter smile. 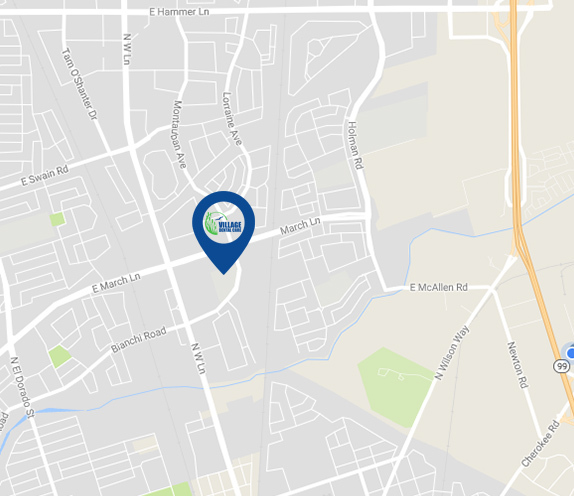 Village Dental Care is your source for professional teeth whitening in the Stockton area. Root canal treatment is completed in one or two visits, depending on the presence of infection. After restoration, the tooth continues to function like any other tooth. Dentures are a removable dental appliance used to replace missing teeth; they closely resemble your natural teeth. They do not only help your ability to chew but they also help support lips. When we say family dentistry, we mean the treating the entire family. At Village Dental Care, we provide comprehensive services that meet the needs of the whole family. Financial Arrangements that will fit comfortably in your budget. 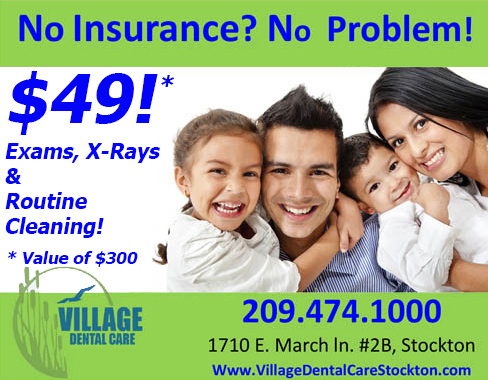 At Village Dental Care our goal is to maximize your insurance benefits. If you have any questions regarding your insurance, please don’t hesitate to call our office at (209) 474-1000 to review your concerns. Open 6 days a week Monday through Saturdays! Some evenings until 9pm! I've been coming here for years and have always had a great experience! Even now, when I live over an hour away, I still come here for any dental needs I may have! Village Dental Care took really great care of my husband! They were on time with his appt which was helpful being that we had a little one with us. They accommodated all of us very well, really listened to his concerns. Thanks so much to the excellent staff and dentist! It was my first time here and she cleaned my teeth great, way better than my old dentist ever did! She was also a really sweet lady, and made conversation with me, which is always appreciated! The place was clean and all the workers were extremely nice to me. This is definitely my new dental cleaning place !